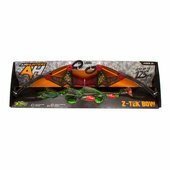 Go on a high-action archery adventure with the amazing Air Hunterz Z-Curve Bow! 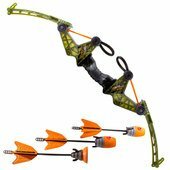 Hook in the Zonic long-range whistle arrow, position the shot, and watch how far the arrow can go—well over 130 feet! Or hook in the Zartz suction cup arrow and see how many places they stick! Patented launching system will allow only the soft, safe provided ammo to be used ! 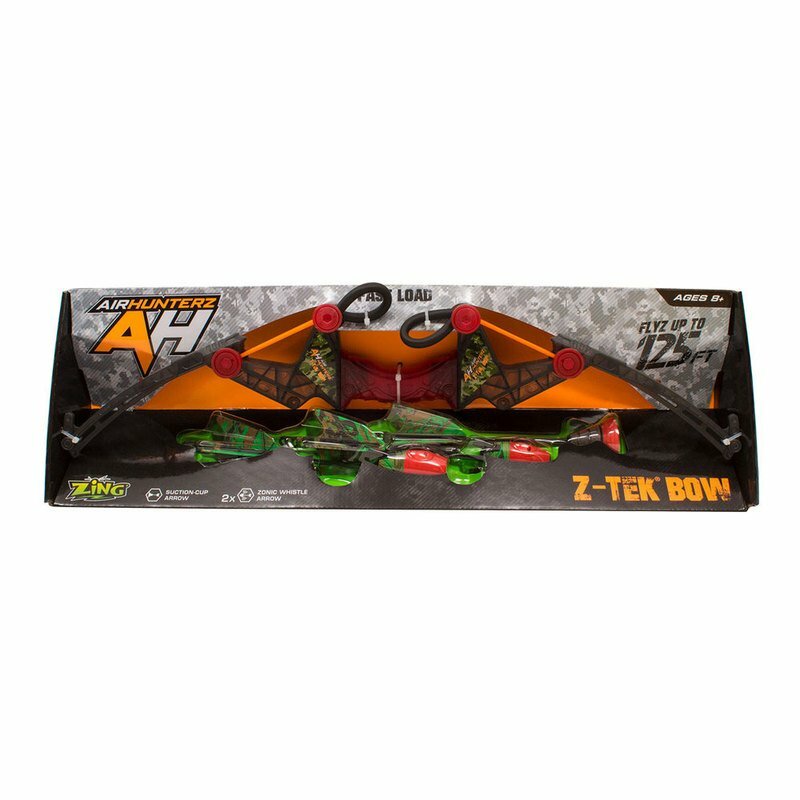 Package Contains: Z-Curve Bow, 2 Zonic long range whistle arrows and 1 Zartz suction cup arrow.